GULFPORT, Miss. 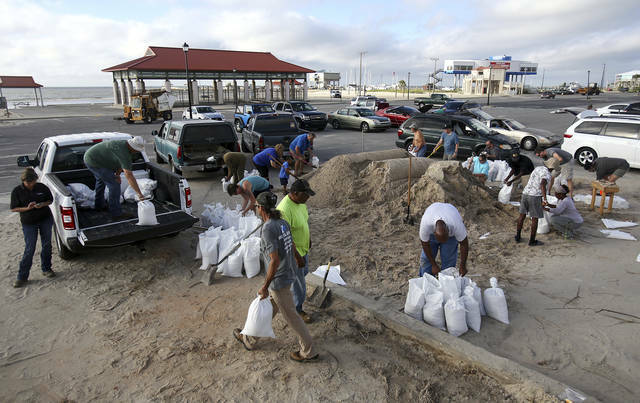 (AP) — Boaters evacuated to safe harbors, and motorists fled barrier islands Tuesday as the Gulf Coast hustled to get ready for Tropical Storm Gordon, which was on track to hit Mississippi as a Category 1 hurricane sometime after nightfall. People rushed to fill sandbags while red no-swimming flags flew along the shore where waves were kicked up. Some schools called off classes, and homeowners worried that their yards could soon be submerged under seawater. A hurricane warning was in effect for the entire Mississippi and Alabama coasts. 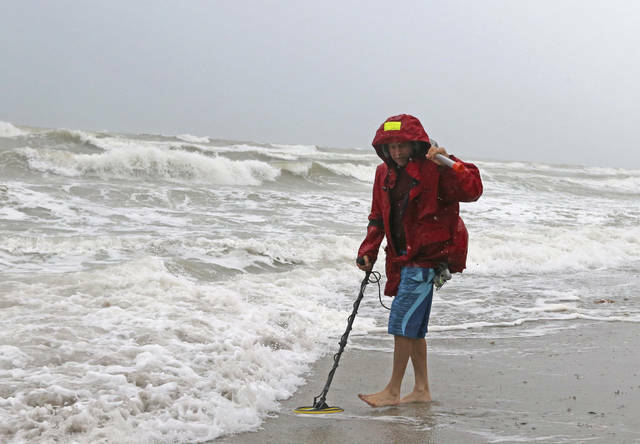 The National Hurricane Center predicted a “life-threatening” storm surge of 3 to 5 feet (0.9 to 1.5 meters) along parts of the central Gulf Coast. Flooding was also a risk. As much as 8 inches (20 centimeters) of rain could fall in some parts of the Gulf states through late Thursday as the tropical weather moves inland toward Arkansas. By late Tuesday morning, the storm was centered 145 miles (235 kilometers) east-southeast of the mouth of the Mississippi River, with top sustained winds of 65 mph (100 kph), forecasters said. It was moving relatively quickly, at about 15 mph (25 kph). A storm surge warning was issued for an area stretching from Shell Beach, Louisiana, to Dauphin Island, Alabama. The region could see rising waters of 3 to 5 feet (0.9 to 1.5 meters). “The deepest water will occur along the immediate coast near and to the east of the landfall location, where the surge will be accompanied by large waves,” the hurricane center said. Governors in Alabama, Mississippi and Louisiana all declared states of emergency, allowing them to quickly mobilize state resources and National Guard troops to help during and after the storm. 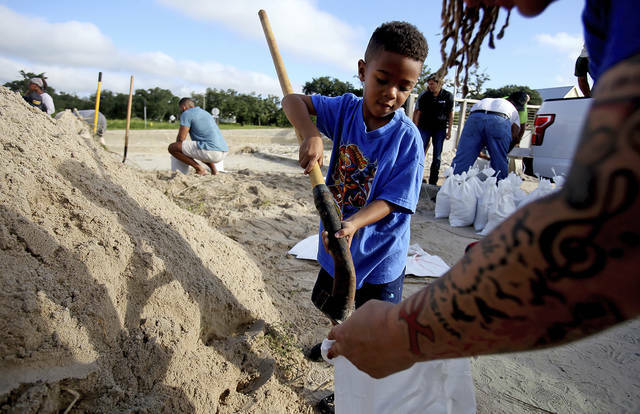 Gordon became a tropical storm Monday near the Florida Keys, so residents and businesses rushed preparations Tuesday, taking in patio furniture, filling and placing sandbags and making sure they had bottled water and other supplies. On some of the barrier islands, mayors warned that only hours remained before their links to the mainland could be severed by rising water or debris. The storm appeared to be coming toward Dauphin Island, Alabama, closer to low tide around 7 p.m. Tuesday. Police planned to monitor the only highway to the mainland. “When you get the higher waves, water starts splashing across. Sometimes it starts pushing not only water across but debris, logs and things of that nature, which makes it very treacherous to get across,” Mayor Jeff Collier said. Grand Isle Mayor David Campardelle called for a voluntary evacuation of his barrier island in Louisiana, about 50 miles (80 kilometers) south of New Orleans. Ongoing construction on Highway 1, the lone road that connects Grand Isle to the rest of the state, could cause problems for people evacuating. “If you leave, you have to leave before the road floods,” Landry said. Authorities issued a voluntary evacuation order for areas outside the city’s levee protection system, including the Venetian Isles, Lake Saint Catherine and Irish Bayou communities. Separately, Hurricane Florence formed Tuesday far out over the eastern Atlantic, but it was not currently a threat to any land. Associated Press writers Jeff Martin and Ben Nadler in Atlanta; Emily Wagster Pettus in Jackson, Mississippi; Rebecca Santana in New Orleans; and Jeffrey Collins in Columbia, South Carolina, contributed to this report.